Our Lady of Lourdes (located in Tarasse, Haiti) and their parish school, St. Joan of Arc School​. Make a difference in their lives today! More Food. Fund 1 more day of food per week for students. New Doors. New doors were purchased and installed in the church for additional security. Create Connections. St Joan of Arc REP students sent a Christmas Carol video to our sister parish. A donation to support the St. Joan of Arc sister parish & parish school in Tarasse, Haiti. *Note: Your shipping information will be used for donation acknowledgement purposes. Thirty years ago, Monsignor Bierster made a commitment to assist a poor parish in Haiti to build a school. The parish, Our Lady of Lourdes - located in Tarasse (Haiti) received our prayers and financial support. In gratitude the school was named "Sainte Jeanne D'Arc" or "St. Joan of Arc". Successive pastors have faithfully continued to support this parish & school. In August of 2016, Father Al and the Pastoral Council of the parish officially (and unanimously) sanctioned Our Lady of Lourdes parish as our “sister-parish”. Awareness: A group of St. Joan of Arc parishioners who work to maintain the relationship with our Sister Parish while facilitating communications to raise awareness and ensure our parish community is kept current on news & events pertaining to this relationship. This committee also facilitates fundraisers to provide additional financial support. ​Fundraising: Our parish makes a gift of $20,000 each year to pay for the salaries of ALL the teachers at the school and provide a meal (usually beans and rice) to the children of the school three time a week. In addition to this, a second collection takes place on Ash Wednesday to provide parishioners with an opportunity to offer support during the Season of Lent. As mentioned above, the Haiti Committee will also initiate other fundraisers throughout the year. 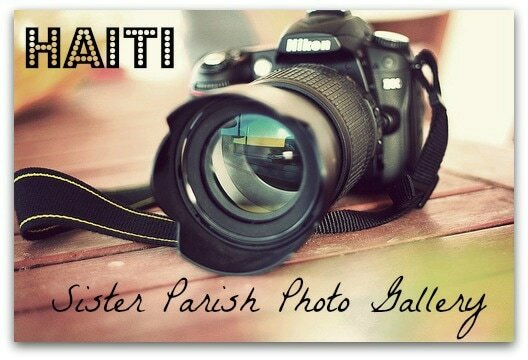 Parish Interaction: We will pray for the specific needs of the parish in Haiti. Father Mario (Pastor of parish in Haiti) will provide Father Al with monthly intercessions from Our Lady of Lourdes. In turn, they will pray for our parish and the intercessions sent to them.